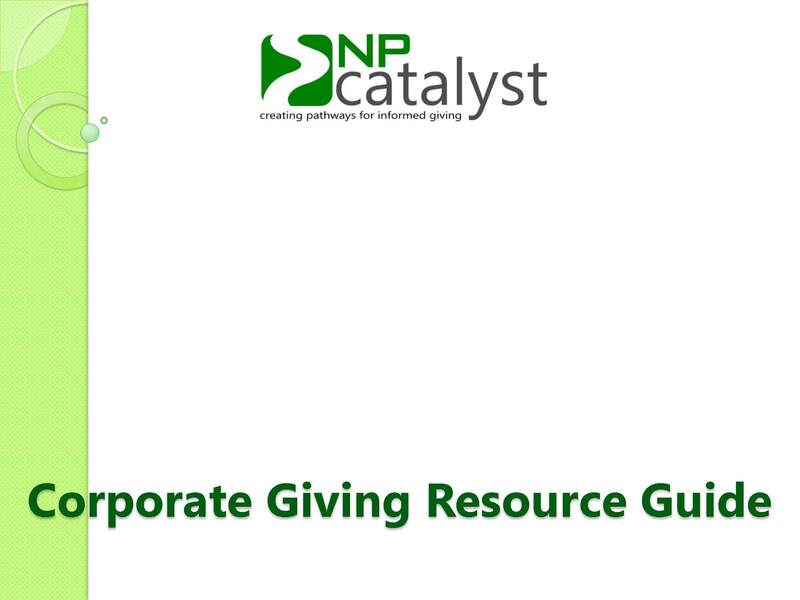 The NPcatalyst team has created the Corporate Giving Resource Guide to help businesses link values with community needs, establish goals and strategies for giving, involve key staff members, and evaluate the community-driven efforts with which businesses invest. A giving plan can be a powerful tool. It can help your company personalize its giving and make sure community contributions are as strategic and meaningful as possible. By tailoring your giving plan to your company’s mission, core strategies, personal and professional connections, and/or customer targets, you will maximize the opportunities associated with wise charitable decision-making. Taking the first step towards developing the plan might just be most difficult, yet empowering step taken. Do you hire staff…a consultant…or do it yourself? How much time, energy and funds do you allocate to developing the plan? Whom do you involve? What are your goals? How or do we leverage the giving program for the corporation’s financial growth? NPcatalyst provides the answers…in this resource guide and through their services. This resource guide was created to provide business leaders with ideas and tools to create and manage successful corporate giving plans. Click HERE for the guide (pdf format). You are invited to contact us to learn about how we can turn your charitable giving into a “catalyst” of opportunity for your business.